Yellowwood trees in autumn; photo by Mark Ahlness on Flickr (noncommercial use permitted with attribution / no derivative works). 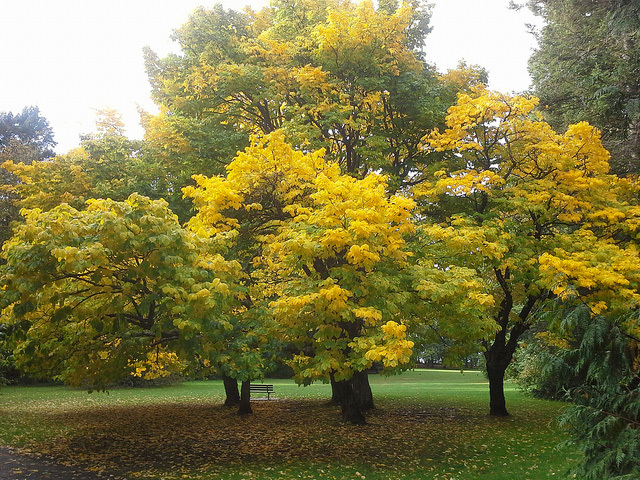 The yellowwood tree has wisteria-like blossoms in spring (approximately one foot long) and the leaves turn a bright gold in autumn. 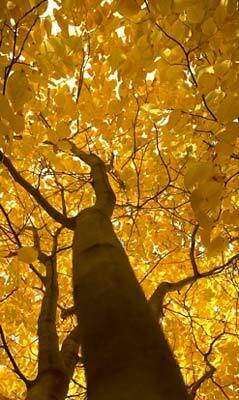 Yellowwood tree with gold autumn foliage; photo by Matt Billings on Flickr (noncommercial use permitted with attribution / share alike). 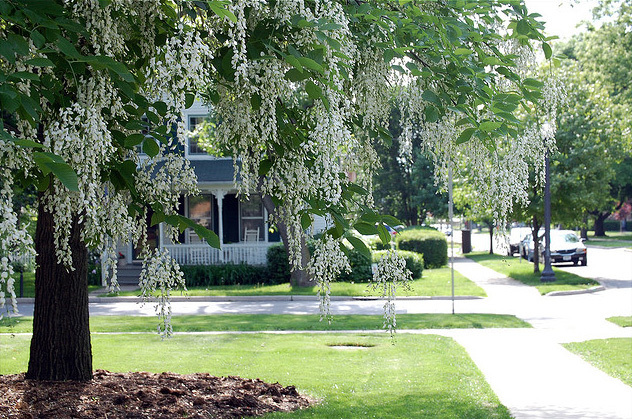 Yellowwood tree in full bloom; photo by Tom Gill on Flickr (noncommercial use permitted with attribution / no derivative works). 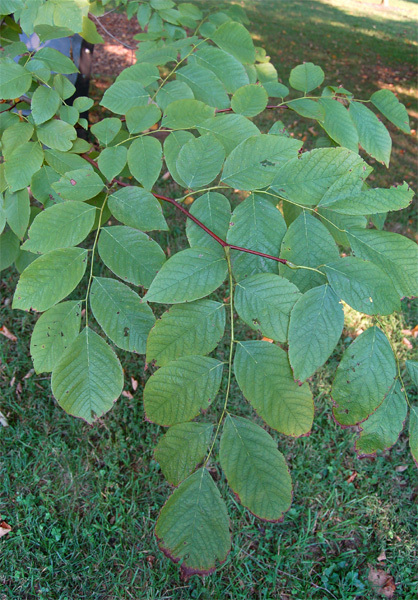 Yellowwood leaves (Cladrastis kentukea); by Photo (c)2006 Derek Ramsey (Ram-Man) on Wikipedia (use permitted with attribution / share alike).